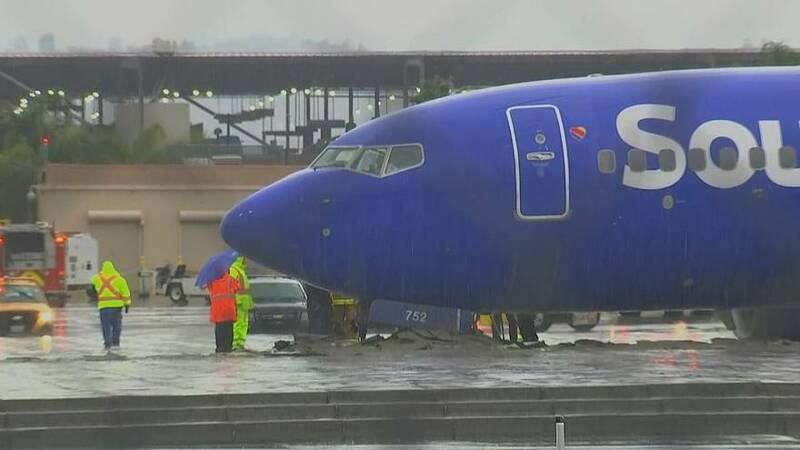 A Southwest plane slid off the runway at Hollywood Burbank Airport on Thursday but came to a stop and no one was injured, according to the Federal Aviation Administration. The flight rolled off the end of the runway in Los Angeles County while landing at about 9 a.m. PT (12 p.m. ET), but was halted by the Engineered Material Arresting System, which is designed to stop aircraft in the event one leaves the runway, according to the FAA. There were 117 people aboard the plane and no reports of injuries, the FAA said. There were also no fuel leaks. Rain was falling when the plane landed, but it's unclear if weather played any part in the incident.